This information is only available to students completing Roger Greens trainings and is not published to the general public. Each technique being covered has a unique comprehensive workbook based on 25 years research and practical involment by Roger Green. All the Southern Hemipshere Feng Shui calculations are intellectual property of Roger Green and have international copyright protection. 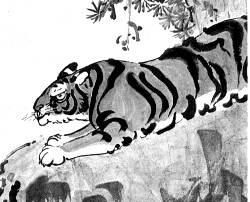 The Taoist’s elegant yet scientific approach to looking at nature allowed them to formulate some profoundly rational principles. 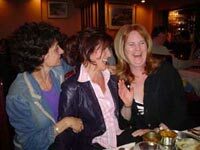 In many cases it confirms our own instinctive ideas about what makes a happy and productive environment. Feng Shui builds on this intuition through the understanding of sound principles, allowing us to maximize beneficial energy flow, ideally in a way that is harmonious with our own unique culture, values, beliefs- for both the northern and southern hemispheres! 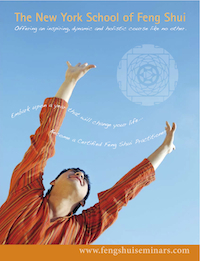 Become a certified Feng Shui Practitioner at the Sydney School of Feng Shui. There is no better time than now to begin your journey. Take this opportunity to study with a pioneer of Feng Shui in the west. 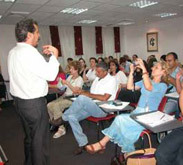 Roger Green is recognised as one of the world's most innovative and dynamic teachers on Feng Shui. A lively and enthusiastic teaching style, he illuminates and explores the deeper principles and underlying wisdom of this ancient philosophy. Integrating the various schools of Feng Shui into a creative, flexible and holistic approach, he is a pioneer of Feng Shui in the west, having been the first to teach classical Feng Shui methods in Europe, London and America. He was the first to develop a western english Lo pan compass, and seminars to teach the 4 pillars, flying star, lo pan and ba zhai and other classical feng shui methods. He is the author of the best selling The I Ching Workbook. Roger Green was the first to establish an effective protocol to apply feng shui to the southern hemisphere, and has taught in over 50 countries and trained hundreds of Feng Shui practitioners worldwide. He currently teaches his curriclum with the New York School of Feng Shui, and is the Director of the Academy Sacred Geometry and the Academy Healing Nutrition. In the past, he has been the Founder and Director of the European, London, Sydney and San Francisco Schools of Feng Shui. In 1996, Roger organised the first ever Feng Shui study tour of China. Since then, he has organised several study tours to China, India, Taiwan, Hong Kong, Tibet, Mexico and Peru and has sponsored International Feng Shui, Ecology and Sacred Geometry Conferences in Prague, Zurich, Melbourne, Budapest, San Diego, San Luis Obispo and New England. Over the last seven years he has hosted a retreat in South France, exploring the deep secrets of the western esoteric traditions and mystery schools and sacred sites. This course is offered only by ONLINE TRAINING because of Roger's busy schedule, so take the opportunity to train yourself completely in the Southern Hemisphere Feng Shui techniques, and become a qualified Southern Hemisphere Feng Shui Practitioner. Our time-tested curriculum integrates the richness of eastern philosophies with innovative western techniques. It balances ancient traditions with modern knowledge, and analytical thinking with intuitive being. You will gain insight into the treasures of Taoist Philosophy as we explore the limitless possibilities for enriching our lives by applying the principles of the ancient Art and Philosophy of Feng Shui to our contemporary lives. Our principle based non-dogmatic teaching inspires students to reach new heights. Once mastered, these principles become a catalyst for personal, community and global transformation This intensive is taught in Roger’s concise and inimitable style, and is filled with universal wisdom, and clarity of purpose.
" A week later I'm still ‘coming down’ from our truly inspiring training with Roger, which, I feel, has opened a new chapter in my life. It was trulywonderful. I feel so fortunate to be part of this program". “No one covers this subject as clearly as Roger Green. Some of the subject matter is quite intense. Roger’s Light hearted generous and very insightful teaching style opens the door to maximum understanding for the students. Also his explanation of Southern Hemisphere Feng Shui will make a believer out of you”. "Any human willing to wrestle the scaffolding of ancient traditions with Certainty and Truth is beyond any accolade I could write of. OF COURSE the Southern Hemisphere is to be -----included. It is astonishing to think so otherwise. Roger having stepped outside of The Box with earnest intention, knocking down the walls of Tradition is beyond remarkable. 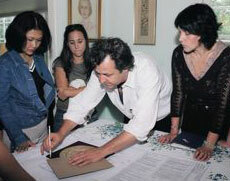 The Southern Hemisphere is now on the map of feng shui, thanks to this kind and brilliant man." I am honored to have been in the company of such a person. Being in your class was one of those lifetime Great Experiences. Without a doubt, the level of education I expected to receive was surpassed in spades. It is my only hope that I can walk the Talk of my Teachers as I move forward into my dream." "Roger is very eloquent with words, therefore able to teach in a manner which is tangible and easy to comprehend. I remained interested and enthusiastic about the material all throughout the days during the long weekend. His enthusiasm and knowledge is contagious! Thank you for everything, Roger!" In this section of the Intensive training we enter into the fascinating study of a very important system based on Taoist Metaphysics and Cosmology. Used extensively by Feng Shui experts in China, Hong Kong and Taiwan, Four Pillars is an ancient system that reveals aspects of destiny, constitutional dynamics, and beneficial elements. This sophisticated method is as useful for deriving important and very personal Feng Shui information about Feng Shui clients as well as clearly revealing aspects of their character. Armed with superior knowledge of their clients and their needs, the practitioner can optimize the relevance and results of the consultation. Four pillars is an ancient system of constructing a Horoscope based on the “Heavenly Stems” and “Earthly Branches” at the hour, day, month and year of birth. 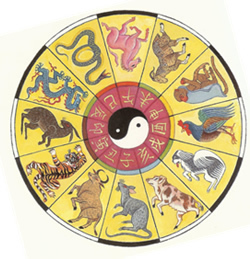 Interpretation is the result of examining the manner in which the elements and animal archetypes contained in the charts interact with aspects within the chart as well as conditions in the world. Roger Green is a pioneer of Four Pillars in Western culture, having introduced these methods for the first time to thousands of students in Europe, UK, USA and Australia. He created the first effective protocols for 100% correct chart calculations, stressing the importance of determining correct local solar time and by developing the appropriate adaptation for calculating Southern Hemisphere charts. This has never been accomplished before in history. Included with this course is an extensive step by step manual for calculating and interpreting Four Pillars; which is not available anywhere else and contains Roger’s simplified technique for creating Four Pillars and Luck Pillars charts. 1. We combine the most vital aspects of Classical Feng Shui with the best from other traditions. Completely compatible and will enhance any previous training. 3. Emphasis on personal and professional development - Health, healing and relationships. Working with intention and attraction. Creating your dream business your way. 5. Knowledge and mentorship - working closely with Roger Green. Roger is a Legend in Feng Shui and related fields and is considered by many to be the most experienced and knowledgable teacher of these subjects. 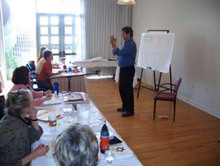 This was the most comprehensive training a Feng Shui practictioner could get. We are prepared to offer clients a full spectrum of options when asked to enter their living or working space. I am grateful for the experience and encourages to choose the same path. Roger Green, a pioneer of classical Feng Shui methods in the West, was one of the first to teach it in Europe, London and America in the early 1990s. 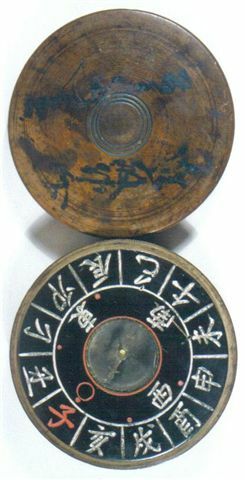 He was one of the first to develop a western Luo-pan compass, and has also developed a unique system of Feng Shui for the Southern hemisphere. 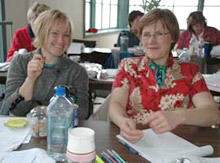 Interestingly, despite the obvious differences between Northern and Southern hemispheres (for example, air and water currents move in different directions; the planets and stars seen in the night sky are different; the cold winds come from different directions; the sunniest side of a building is different) there is ongoing debate amongst some of the best known and credible Feng Shui practitioners and teachers worldwide as to whether to alter the various ancient formulas to suit the Southern Hemisphere. We must keep in mind that Feng Shui is both an art and a science that has been developing over thousands of years. We cannot ignorantly assume that this knowledge has reached its full potential and will cease to grow. Indeed, we live in a rapidly changing world that introduces many new challenges in the way we live and work including dealing with modern technology and the electromagnetic fields this produces, producing and consuming new foods, chemicals and medicines with unknown side effects, etc. Feng Shui principles must be developed, or refined, to meet these challenges. This is what was done in ancient China where many formulae frameworks were developed and refined to meet changing conditions and different geographic regions. It should be clear from the foregoing that the development and refinement of Feng Shui must be ongoing. This requires a scientific approach consisting of evidence-based research (live case studies and experiments). Fortunately, Feng Shui Masters such as Roger Green are conducting research. We need to seek truth from the facts and be practical and realistic with our approach to the study of Feng Shui. Our conclusions should come from thorough analytical research and we should continue to refine our conclusions all the time. Traditional knowledge will only survive if we make it useful and relevant to our modern needs. Be inspired, uplifted and energized through cutting-edge knowledge. Read Feng Shui for The Southern Hemisphere by Roger Green.